Dyess AFB is located in Abilele, Texas about 200 miles west of Dallas. The host unit is the 7th Bomb Wing of the Air Combat Command, and is one of only two Boeing B-1B Lancer bomber wings in the USAF. 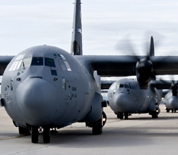 A tenant unit, the 317th Airlift Group is the largest Lockheed Martin C-130J Super Hercules unit in the world. The Linear Air Park, located on base, is a 2-mile long outdoor exhibit containing over 30 static display aircraft from World War II until the present. This Dyess AFB directory features the critical info you’ll need to navigate through the many facilities and recreational opportunities available on base.